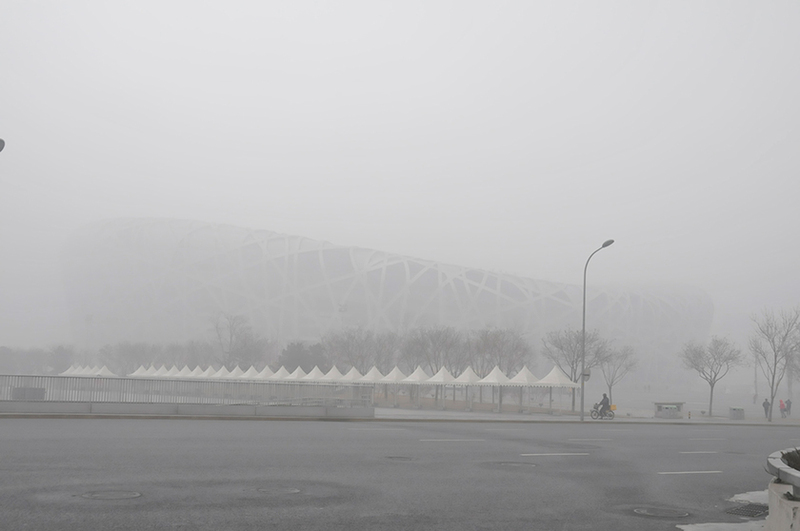 Beijing’s “Bird’s Nest” stadium, built for the 2008 Olympics, was obscured during the “airpocalypse” of early 2013. Dust, soot and filth from farms, industry, traffic and power plants took most of the blame for China’s air-pollution episode in the beginning of 2013, when astronomic levels of particulate pollution afflicted 800 million people. Pollution was 40 times worse than World Health Organization safe-air standards. “Particulates,” despite the name, are usually droplets of liquid rather than solid particles. But a new analysis of four Chinese cities (Beijing, Shanghai, Guangzhou and Xi’an) traces much of the problem to “secondary” chemicals that can form particulates after a chemical reaction in the atmosphere. The study focused on particulates that are less that 2.5 microns in effective diameter, which are more dangerous than larger particles because they can lodge deep in the lungs. In the cities, 30 to 77 percent of these particles formed from secondary chemicals. On a clear day, you can see forever — or at least, the Olympic stadium. A 2012 report from the World Health Organization estimated global mortality due to air pollution at 7 million annually, with hotspots in Africa, South Asia and China. This week, the New York Times reported that, “People living in northern China were informed by a team of American, Chinese and Israeli researchers that they should expect to live much shorter lives — a full 5.5 years shorter — than their countrymen to the south” due to air pollution. * Inorganic secondary pollutants, such as nitrogen oxides (from traffic, big power plants and industry); sulfur dioxide (from coal burned for heat, industry and power); and ammonium (from cow manure and farm fertilizer). * Volatile organic compounds (VOCs), a wide range of easily dispersed chemicals that are difficult to trace and tend to be more unhealthy than the inorganics. 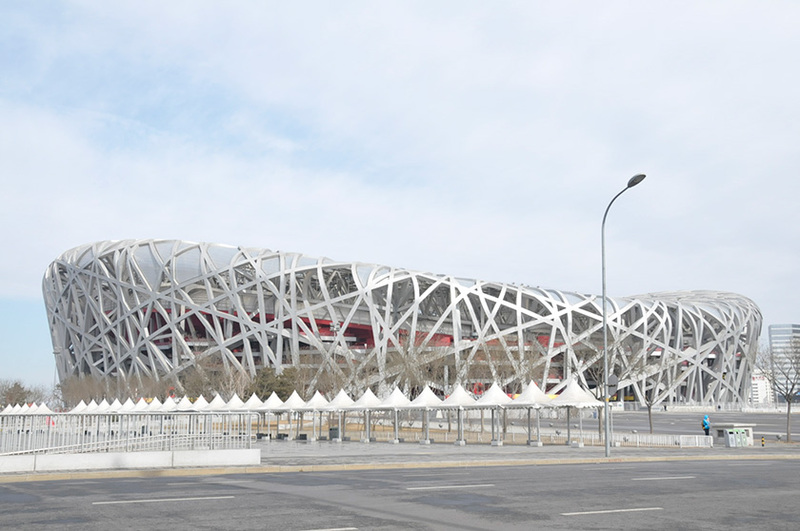 In Beijing, primary pollutants from burning coal, and secondary organic and inorganic pollutants each accounted for about one-quarter of air pollution. 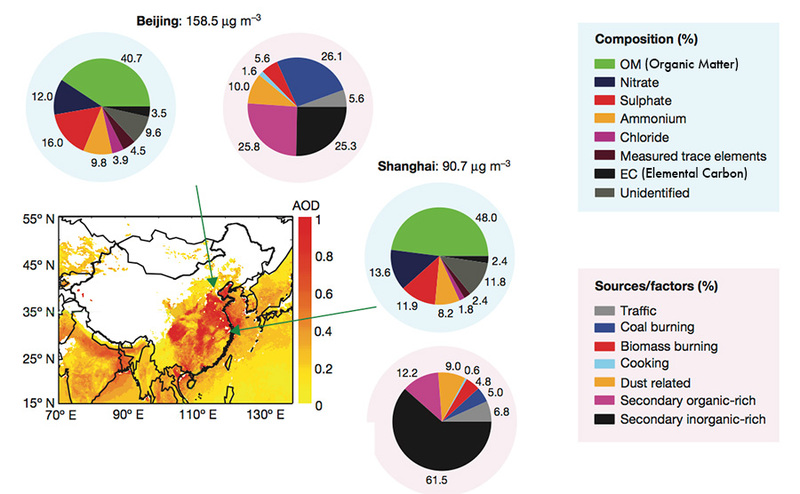 In Shanghai, secondary sources accounted for nearly three-quarters of particulate pollution. Prevot says it was known that secondary sources added to pollution in the summer, but his article’s reviewers doubted this could occur in winter, when colder temperatures and diminished sunlight both slow chemical reactions. He successfully argued otherwise, he says. “We happen to be the only group in world that has done experiments at low temperatures to reflect these conditions, and we know that in winter, biomass emissions, gasoline car emissions” can cause just as much of the particulate pollution as primary pollutants. Solar radiation alone could drive the reactions, Prevot says, but given the high humidity, the reactions could be taking place in clouds, or at night. Carbon tax or carbon trading? Can economics battle global warming?